No matter where you live in the world, ladders are the main cause of accidents involving falls from height leading to serious injury and even death. Most at risk are those who use ladders daily as part of their work such as roofing contractors, electricians and window cleaners. In the UK, statistics from RoSPA (The Royal Society for the Prevention of Accidents and the HSE (Health & Safety Executive) show falls from ladders account for almost a third of all injuries and cost the UK economy £60 million every year as well as being the number one cause of workplace deaths. By far and away the main reason for ladder accidents is the ladder slipping generally due to users overreaching or because the ladder is not properly secured. Ladder Grips improves ladder stability by up to 350% by securing the top of the ladder, not the feet, because if the top of the ladder is made immobile, the feet are unlikely to move either making it far safer to use. The key feature that makes Ladder Grips so powerful in improving ladder safety is the formulation of the rubber pad giving the Ladder Grips device unrivaled gripping power, always ensure the natural rubber is kept clean and dry, cleaning prior to use will ensure maximum gripping power. 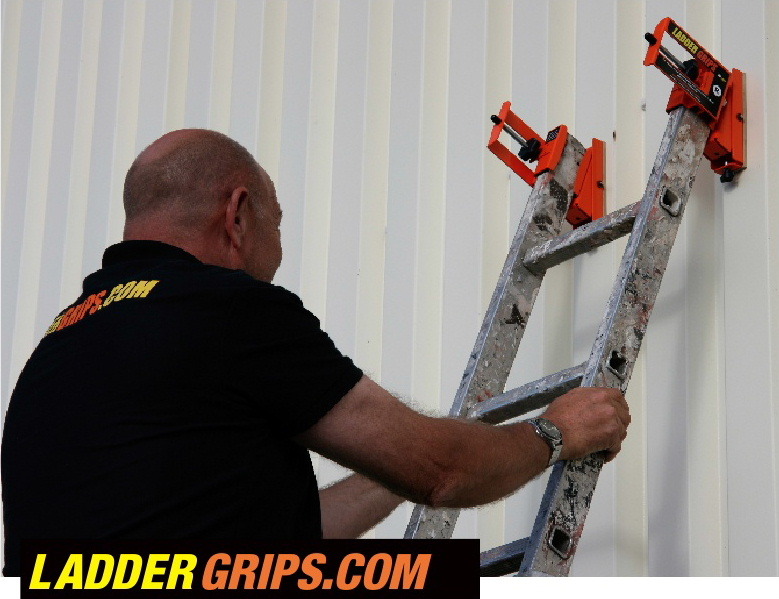 If you use ladders either at work or at home, don’t put yourself at risk - order your Ladder Grips today! Online orders for UK shipping only. Click here for international shipping.